The name “preventative maintenance” speaks for itself; it helps keeps your car from requiring more advanced and pricey types of maintenance in the future by fixing small problems early on. You should bring your vehicle to a garage if you notice any shaking, odd smells, smoke, or weird sounds coming from your engine, brakes, or other parts of the vehicle. Sometimes your vehicle won’t give any physical indication that something is wrong, which is when preventative care comes into place. Having regular maintenance and checks performed on your vehicle will keep it running smoothly, and keep you from shelling out big money on repairs later. At Glenn’s Auto Repair, we want our clients to get the most from their vehicles, which is why we’ve compiled this list of 4 types of preventative maintenance you should be considering annually. 1. Timing Belt Inspection: Your timing belt plays a big role in how well your engine functions. It regulates the pistons and camshaft so that crucial components in your engine don’t bang together and cause unnecessary friction. When the timing belt stops working, grinding and friction ensues, which can mean big repairs and replacements for your engine. Your timing belt should be replaced every 60,000 miles, but even if you’re not quite ready for a replacement it helps to have it looked at once a year to make sure everything is in good and running order. 2. Oil Change: Possibly the most mentioned preventative maintenance on our blog, an oil change is important to keep your engine running smoothly. Muddy or thick oil will contaminate components in your vehicle, keeping them from running properly and causing a buildup of grime in the mechanics. You should have your oil changed every 3,000 to 10,000 miles depending on the look of it. To determine whether your oil needs to be changed, check your oil. This is something your mechanic can do for you during preventative maintenance, but it’s also a task that you can do at home without worrying about damaging your vehicle with DIY practices. Whether you use an electronic gage or a classic dip stick, if you own a vehicle you should learn how to check for clean oil. 3. Battery Check: There’s not much your mechanic can do for your battery other than replace it, but the battery tells us a lot about the life of your vehicle. For example, if your battery should be working like new, but is experiencing trouble starting your vehicle, or maintaining a charge during use, it could be that your starting and charging system is having trouble. A trained mechanic, like our team at Glenn’s Auto Repair, will check for leaks, buildup, and any other problems which might be causing the battery to act improperly. Sometimes, something as small as a bit of buildup on the contacts could be keeping it from working. 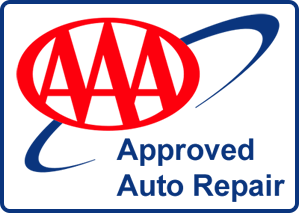 Your mechanic can clean it up for you, make minor adjustments, and have your vehicle back in its prime in no time. 4. Tire Alignment: Over time the way that you drive your vehicle can wear tread unevenly, and cause your tires to move from where they’re placed on your vehicle. If your tires aren’t properly lined up, it could cause problems with your steering. Whenever you change your tires over, you should have an alignment done to make sure that everything is sitting properly on your vehicle. Remember to rotate your tires regularly as well, so that tread wears evenly on both sides, creating a smooth drive. It can seem like a lot of time and money when switching tires out to go ahead and get an alignment and rotation, but it’s well worth it. Vehicles which don’t have their tires rotated and aligned end up needed brand new tires much sooner than is normal. For more information on preventative maintenance or to book an appointment with one of our certified mechanics, contact us today. At Glenn’s Auto Repair, we work hard on your vehicle so that you don’t have to. By using our preventative maintenance services, you can save yourself a lot of time and money on repairs in the future. If you’re interested in learning more about the different types of preventative maintenance your vehicle requires and why it’s important, check out the other posts on our blog page.